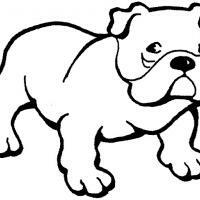 The bulldog is a medium-size breed of dog from England. It looks scary but the bulldog is actually one of the most gentle dogs around. Color this affectionate canine.